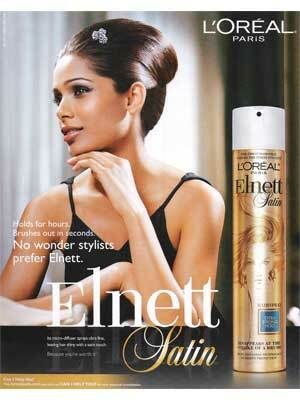 Freida Pinto (born 18 October 1984 in Mumbai, Maharashta, India), is an Indian actress and model. 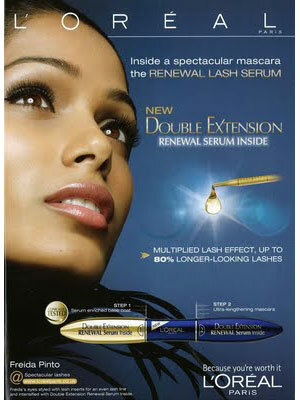 She starred in the movie, Slumdog Millionaire. 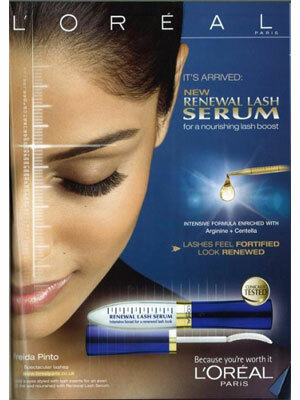 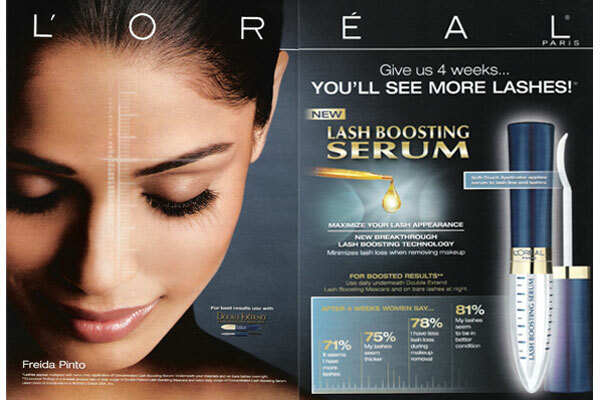 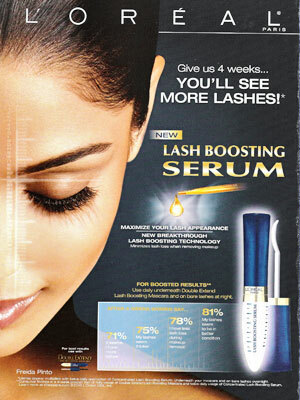 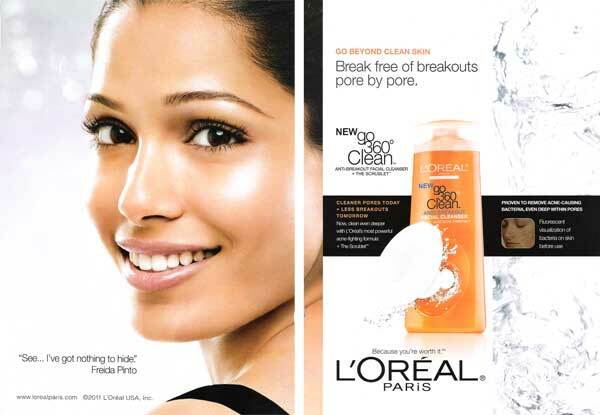 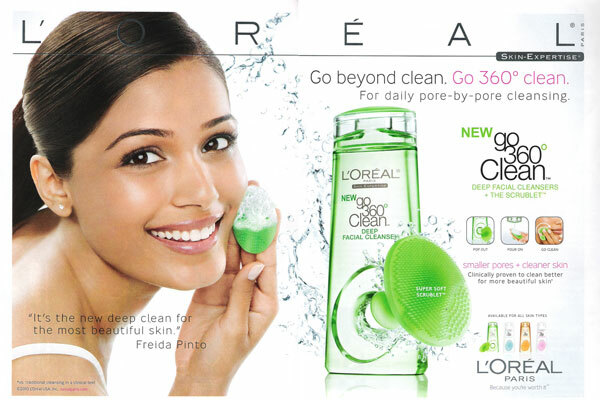 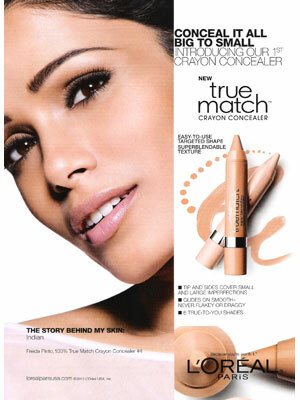 Feida Pinto is a spokesmodel for L'Oreal (signed 2010). 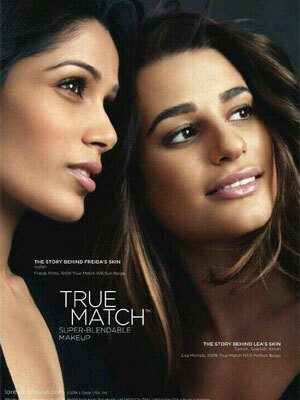 The Supermodel Starlet: Much to the dismay of models everywhere, the mid-'90s marked the Hollywood invasion of their sacred turf: Stars began landing sever-figure contracts with beauty companies and snagging high-profile magazine covers (MC's first celeb cover was a pre-drama Jen Aniston in '96). 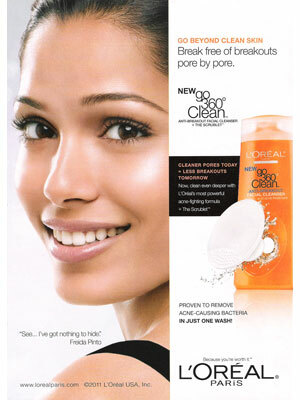 What started with just a handful of actress endorsements - Juliette Binoche for Lancome in 1996; Jennifer Love Hewitt for Neutrogena in 1998 - snowballed into a full-fledged celebrity coup. 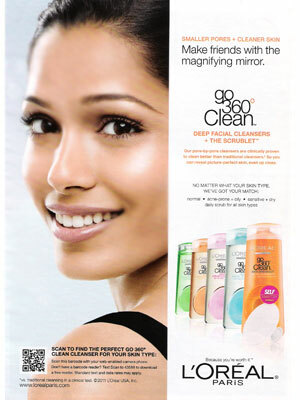 Then, J.Lo's 2002 fragrance hit, Glow, started a star-scent firestorm, green-lighting even the most unlikely celeb-as-perfumer deals (Power by 50 Cent, anyone?). On the plus side, the latest partnerships are also breaking traditional beauty boundaries, with CoverGirl signing funny girl Ellen DeGeneres in 2008 and L'Oreal snagging Bollywood beauty (and Slumdog Millionaire lead) Freida Pinto this year.